- Muse Map - All the global muse.mu information on a zoom-able map. 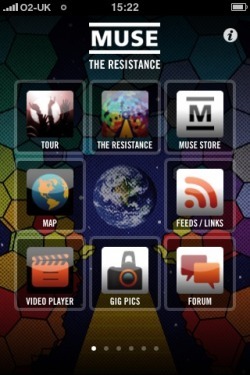 See how many Muse members, images and tour dates apply to your city! - Gig Pics - Take a picture from your iPhone at a Muse show, tag it to the show you're at and upload it straight to muse.mu for everyone to see. 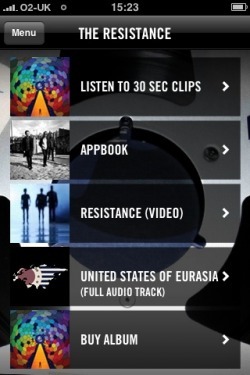 - The Resistance - A special section on the new album including an AppBook, the video for Resistance, audio of United States of Eurasia and 30 second clips of all the album tracks. - Tour - details of all the forthcoming tour dates including links to buy tickets etc. 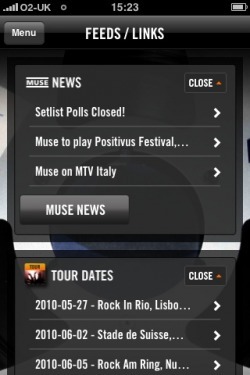 - Feeds - RSS feeds of Muse News, Tour Dates, Muse Twitter, the band's Delicious Feed and MuseLive and Microcuts news. - Video Player - An integrated muse.mu video player featuring all the video content from muse.mu. 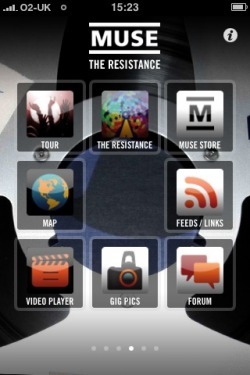 - Forum - a iPhone/iPod Touch friendly forum skin for all you muse.mu forum users. - Background Switcher - pick your favourite background for the app from a selection of Muse designs. 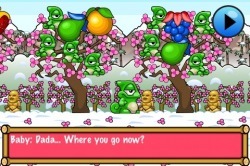 A fruit monster has run off with your juicy fruit and kidnapped your babies. 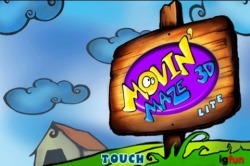 Help Leon chase after Ms. Tum Tum in this off-the-wall puzzle adventure spanning 4 worlds and 36 brain-tingling levels. Eat fruit, change your colour, and lick your babies to make them follow you. Remember, more chameleons means more eating power, and that means it's GIANT FRUIT time! + Eat just enough to progress or do it perfectly! 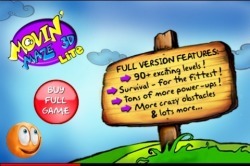 Play as the adventurous, ever adorable ‘Froo’, and its journey through the wonderful world of moving mazes. 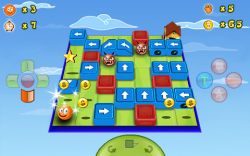 Puzzles change dynamically as ‘Froo’ moves about on the board. Face a plethora of obstacles and baddies as newer challenges unfurl. Scamper to the safe house while treading over disappearing floors, whirlpools, sticky flooring, lasers etc. Switch between 2D and 3D views to alter the functionality of certain elements. 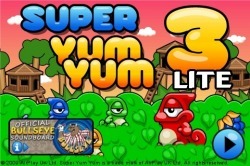 Over 70 playable levels and an array of collectibles await you.